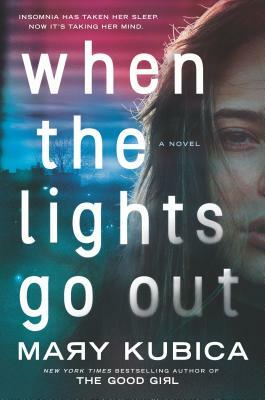 The Doylestown Bookshop will be hosting bestselling author Mary Kubica for a reading and a book signing in celebration of her latest book, When the Lights Go Out, on Thursday, September 13th at 6:30 pm. The author will only sign books purchase from The Doylestown Bookshop. A woman is forced to question her own identity in this riveting and emotionally charged thriller by the blockbuster bestselling author of The Good Girl, Mary Kubica. Jessie Sloane is on the path to rebuilding her life after years of caring for her ailing mother. She rents a new apartment and applies for college. But when the college informs her that her social security number has raised a red flag, Jessie discovers a shocking detail that causes her to doubt everything she's ever known.Finding herself suddenly at the center of a bizarre mystery, Jessie tumbles down a rabbit hole, which is only exacerbated by grief and a relentless lack of sleep. As days pass and the insomnia worsens, it plays with Jessie's mind. Her judgment is blurred, her thoughts are hampered by fatigue. Jessie begins to see things until she can no longer tell the difference between what's real and what she's only imagined.Meanwhile, twenty years earlier and two hundred and fifty miles away, another woman's split-second decision may hold the key to Jessie's secret past. Has Jessie's whole life been a lie or have her delusions gotten the best of her? Mary Kubica is a New York bestselling author. She holds a Bachelor of Arts degree in History and American Literature from Miami University in Oxford, Ohio. Her novels include; Don't You Cry, Pretty Baby and The Good Girl.